Area-based fishing rights, commonly referred to as Territorial Use Rights for Fishing programs, or TURFs, allocate secure, exclusive privileges to fish in a specified area to groups, or in rare cases individuals. Well-designed TURFs have appropriate controls on fishing mortality and hold fishermen accountable to comply with these controls. TURFs are usually allocated to and managed by an organized group of fishermen called a Cooperative. Most TURF systems do not grant ownership of fishing areas. They allocate exclusive harvesting rights for one or more marine species in a specified area. TURFs are ideal for species like abalone that will not move beyond TURF boundaries, but they can be designed for more mobile species as well. TURFs may occur independently, or they may be part of a broader system of TURFs. Well-designed networks of TURFs can be used to manage more complex fisheries, including those with mobile species and multiple groups of fishermen. In some cases, TURF design is driven by local communities, and a national or regional government provides legal, operational and sometimes financial support for implementation. In other regions, TURF implementation has been initiated by the government, and fishing rights and co-management responsibilities have been allocated to users based on a national or regional framework. Some TURFs have emerged from centuries-old traditions providing exclusive access to nearshore fishing grounds by local users. Today, many of these traditional rights are recognized by national law, as in Vanuatu, Papua New Guinea, Samoa, the Solomon Islands and Palau. What are the benefits of TURFs? Improve management at a fine scale. Local science and community participation in TURF management allow for locally-appropriate decision making. Directly benefit habitat conservation. By allocating a specific marine area, TURFs encourage conservation of fish stocks and the marine ecosystem. Fishermen are rewarded for protecting habitats and fishing responsibly. Directly benefit small, local fishery-dependent communities. TURFs can increase the income of artisanal fishermen and support food security for the communities that rely on the resource. How does Cooperative management work with TURFs? Many TURF systems around the world involve a co-management approach in which managers and users—usually organized into Cooperatives—share management responsibility. Generally, managers maintain responsibility for identifying performance standards and ensuring effective compliance while Cooperatives are responsible for the day-to-day management responsibilities. TURF-Reserves are TURFs paired with no-take reserves, which are areas where no fishing is permitted. Theory and practice show that fishermen have greater incentive to implement and enforce TURF-Reserves because they directly benefit from the fish that spill over from no-take reserves to their TURFs. This fishery management combination is growing in interest, allowing local fishermen to reap the rewards of being responsible stewards of their fisheries. TURFs have been used in a variety of fisheries around the world, and their design features vary widely depending on the needs and goals of each fishery. Because they place management responsibility in the hands of local users, TURFs tend to be a valuable approach for curbing the overfishing problem in places where government resources are limited. They empower local fishermen and communities to control and steward their own fisheries through a solid system of fishing rights, responsibilities and rewards. 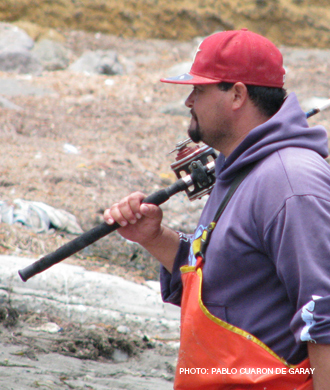 Among the largest area-based fishing rights programs in the world, the Chilean National Benthic Resources TURF System manages one of the country’s highest value species, a sea snail called “loco.” Since TURF implementation more than 10 years ago, landings have increased as much as five-fold, the mean sizes of individual organisms have increased and catch per unit effort is up. The system has since been expanded to manage dozens more species. The TURF volume of the Catch Share Design Manual builds upon this growing experience, offering clear guidance for customized design. The Chilean National Benthic Territorial Use Rights for Fishing Program includes more than 17,000 artisanal fisherman and co-manages more than 550 distinct areas along the coast. 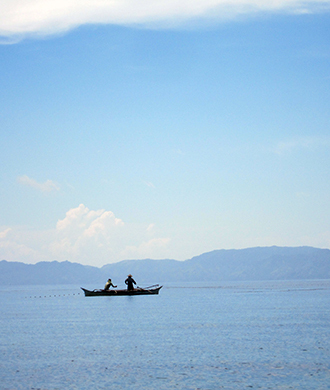 The Japanese Common Fishing Rights System manages mobile nearshore species through a coordinated system of co-management between federal and regional governments and local fishermen organizations.